Free Practice 1 + 2: At the end of the free practice sessions the Kaufmann driver directly showed a good pace for the weekend. 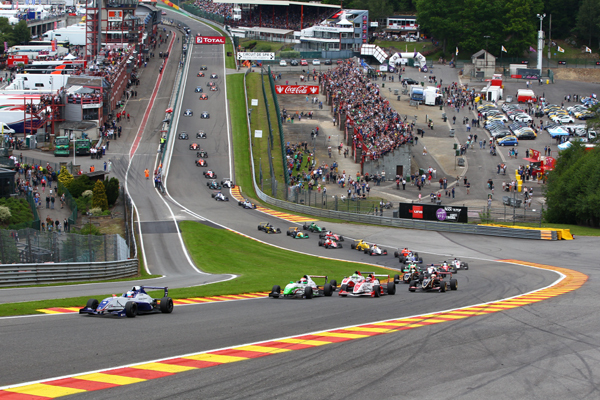 In FP 1 after getting used to the demanding track of Spa it was Jörg on P 12, Malja on P 28 and Tveter on P 29. In the second session all drivers improved themselves and showed a good pace on new tyres. Jörg was P 7, Malja P 12 and Tveter P 20. Qualifying 1: In the first qualifying all Kaufmann drivers had to compete in the same group. Tveter had a bad qualifying during which he spun off the track and finished P 16 in the group. Malja drove a standard qualifying and finished P 7. Kevin Jörg once more showed his skills and was the dominating man on track. With 2.17.222 he was the fastest man in group B - P 1. Overall on the starting grid it was Jörg in the front row on P 2, Malja P 14 and Tveter P 32. Race 1: In the first race Malja made contact and was forced to make a pit stop ending up on P 32. Tveter drove a good race improving to P 23 in the end. Kevin Jörg had a good start and was able to shortly take the lead into tunr 2 before he was forced to leave the track dropping back to P 6. After a tough race with hard wheel to wheel racing and many overtaking moves he finished on P 7. Qualifying 2: In the second qualifying on Sunday morning, Malja and Tveter couldn´t really improve themselves and qualifyied on P 11 - Malja and P 14 - Tveter. Kevin Jörg again was fighting for the top positions but he as well wasn´t able to take out the maximum again and finished P 4 in the group. Overall for the race grid this time Jörg on P 8, Malja P 24 and Tveter P 28. Race 2: In the second race Tveter crashed hard in lap 2 and retired. 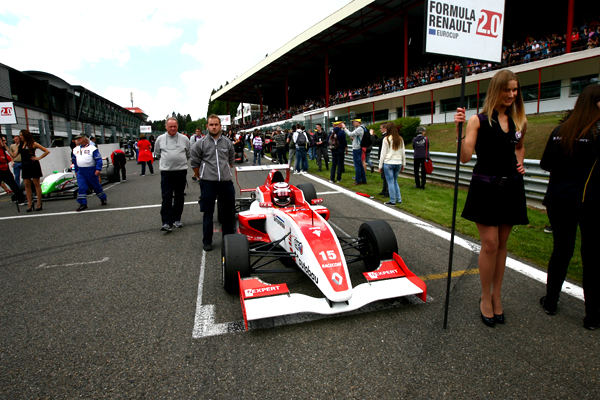 Malja was fighting for positions and finished on P 21. Kevin Jörg drove a good opening lap but then was hit from behind in lap 2 and dropped back to P 14. 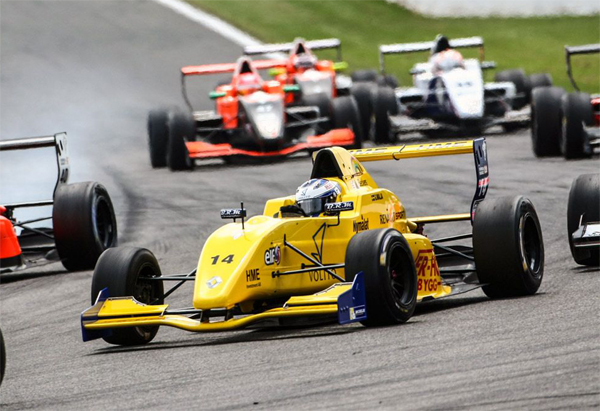 With a damaged diffusor and rear wing it was impossible for him to take back positions and he ended the race on P 14.